April has flown by and I have not done near as much painting as is my usual. Visiting family, enjoying a couple of sunny weekends and I realize my studio has been neglected and the paintings have been sparse. 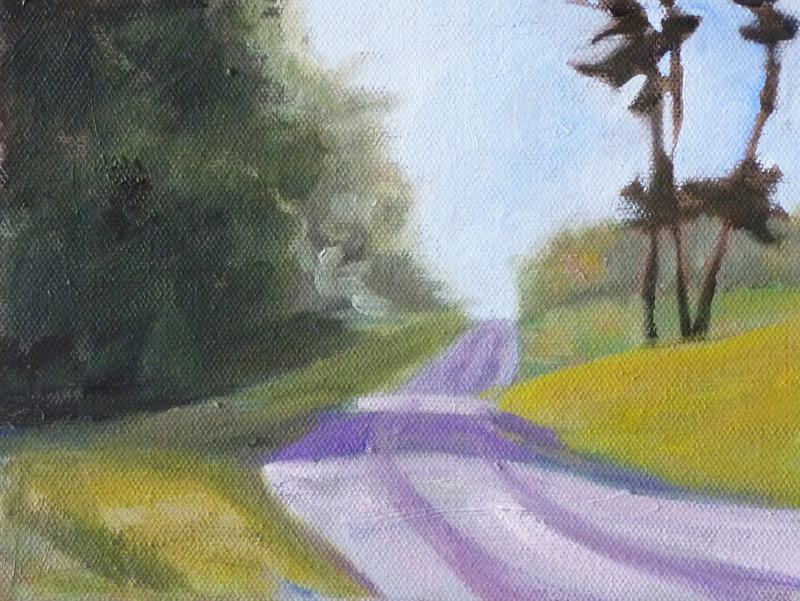 In spite of that, I am happy to have finished this little 6x8 painting. It took a while because I kept fussing with it. I was trying to capture that funny weather that occurs in the Northwest where the sun is shinning, but a light fog hangs in the air at the same time. The Washington Coast is especially prone to those kinds of days. This road to the beach was my inspiration. Head down that path and you will find yourself on the coast of the Pacific Ocean. Hope you enjoy your stay. The painting is for sale at my Etsy Shop. You can purchase it or view it in the shop by clicking here. Aren't we all looking forward to warm summer evenings? This little house in cool shade is my dream for escaping the pouring rain. The painting is 6x8 inches on a gallery-wrapped canvas. It was available for sale at my Etsy Shop, Small Impressions Paintings, but recently SOLD. Click here to view some of my other small landscape oil paintings. I cannot say exactly where in Ireland one might find this lighthouse. It is painted from a photograph my daughter took on her last visit. I loved the cool feel of the rocky shoreline and the warmth of the grass in front. It was also a pleasure to paint. 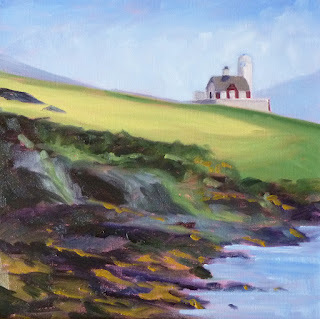 The painting is 12x12 inches on a heavy 1-1/2 inch thick gallery-wrapped canvas. My original plan was to paint this and another from the same photo collections, but I haven't quite gotten there yet. This one is for sale in my Etsy Shop. Click here to visit the shop or make a purchase. 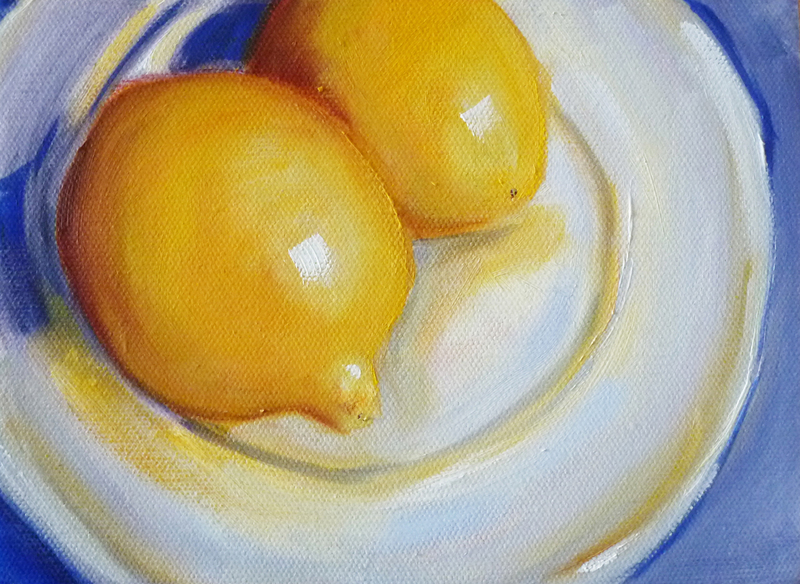 Painting lemons is a great little challenge. It isn't easy to get just the right values for these sunny little fruits. Yellow is a trickster. I messed around with these two fellows quite a bit. Finally called it good and placed the painting in my Etsy Shop for sale. The painting is 6x8 inches on a gallery-wrapped canvas. 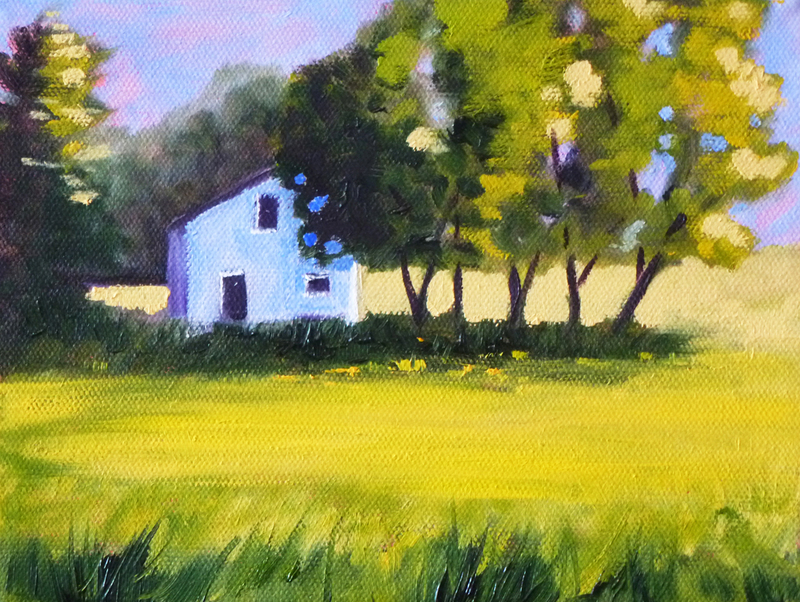 Visit my shop, Small Impressions Paintings, to view it or make a purchase.